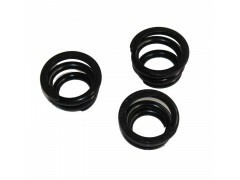 OneMeer can customize any type of springs, wire forms, flat springs, special shape springs, etc. you can choose any type of steel, high carbon steel, stainless steel, low carbon steel, etc. surface treatment with zinc coating, black oxide, electrophoresis, nickel plated, powder coating, painting, etc. please send us the drawing while you inquiry. It's better for us to learn your demand.